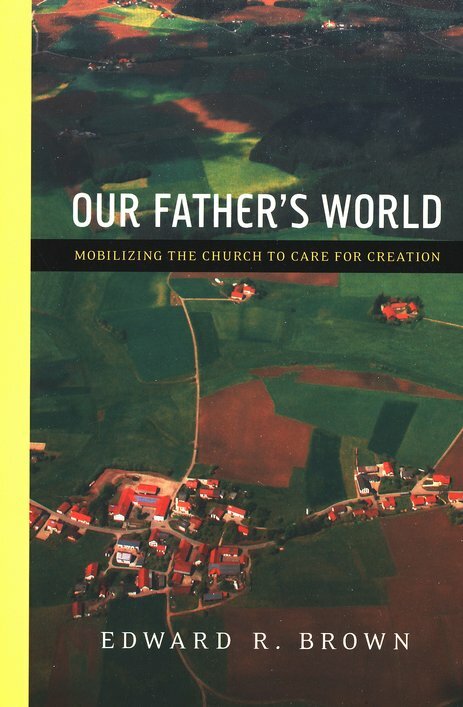 Editor's Note: The following is a report on the practical applications of Edward R. Brown's new book, Our Father’s World: Mobilizing the Church to Care for Creation, (InterVarsity Press, 2008). Our environment – God’s creation – is in deep trouble. From the effects of climate change and the extinction of animal and plant species to the growing shortage of clean air and water, creation is in a crisis more serious than ever before. But the good news is, there’s no better group of people to help solve the problem than Christians. It's us – those who love God – whom He has called to take care of the environment He made. And if we’re faithful to that call, He’ll empower us to heal our suffering creation. Recognize the complexity of the problem. The environmental crisis we face is a vast and multi-dimensional issue in which every local problem is caused by or causes problems in other areas of the world. All of God’s creation is connected, and when one part suffers, all of it suffers. There are more people alive on earth now than ever before, and many are living a consumer-oriented lifestyle that’s damaging the environment for us all. Understand the call to dominion. When God gave humans dominion – charging them with ruling over the planet – He intended that people accomplish His goals (not their own) in creation. God made creation to be one of the primary means by which people could come to know Him. It’s a temple that’s intended as a place to meet God, so it should be respected and cared for. Let your love for God motivate you to value the creation He made. Decide to take care of it as an act of worship to show your love for God. Look at Christ’s example. Jesus Himself walked the earth and worshipped in the midst of nature. He used the fruit of creation in responsible ways, consuming its resources (like food) whenever necessary and enjoying them fully, but never diminishing or destroying creation’s ability to be fruitful. Recognize the root of the problem. The core issue that’s caused creation to become broken is sin. But the creation that’s been damaged by our sin can be restored by our redemption. If we seek to restore our relationship to God, then to ourselves, and then to other people, our relationship with the rest of the creation can be restored. Realize that the way you treat creation has an impact on your relationships with God and others. The way you either take care of or neglect God’s creation is a measure of how well God’s redemption either is or isn’t working in your life. Understand the church’s power to fix the problem. The church is the only organization on earth that can successfully address a crisis with as many dimensions as the environmental crisis. The church can deal with: repentance from sin, motivation for individual action, courage and influence to change corporate behavior, and the ability to recruit and mobilize millions of people to take redemptive action to solve the problem. Since the environmental crisis is an unmatched challenge that’s critically important to tackle, it should be addressed in every aspect of your church’s life. Worship in ways that foster wonder and awe of God’s creation. Design worship that inspires people to feel passionate about creation and work to help heal it. Sing songs about creation and read Scripture passages that describe it. Make creation visible during your worship services, such as by opening window shades to bring in natural light and featuring fresh plants and flowers in the sanctuary. Schedule some worship services outdoors when possible. Pray for environmental healing, and for the people who are currently suffering because of environmental problems. Preach and teach about creation. When preaching sermons and teaching Sunday School classes, help people see the connections between how they live and what is happening to the world God loves. Emphasize the comprehensive nature of God’s redemptive plan for the environment, and each person’s part in it. Encourage the next generation to care for creation. Take children and youth outdoors whenever possible, and when the weather doesn’t permit going outside, bring creation indoors when you can (such as by having some unusual pets visit, setting up an ant farm or aquarium for fish, taking care of plants in the classroom, etc.). Urge your classes to conserve energy (like by turning off lights after leaving a room) and recycle materials you use in class. Use service project time for environmental projects. On missions trips, point out the damage that’s been done to the environment in each place you visit, and how that’s hurting the people you’ve come to serve. Encourage kids who are interested in science to prepare for possible careers in that field so they can help the environment even more. Respect the environment when building or renovating. Whenever you’re building a new church building or renovating your existing one, make sure your plans are environmentally responsible. Minimize damage to your land and the creatures on it, such as by minimizing artificial landscaping (like lawns) and maximizing natural areas, saving animal habitats, planting gardens, and avoiding the use of chemicals that harm the soil. Save energy. Conserve energy however you can, such as by updating your heating and air conditioning system to one that’s optimally efficient, using good quality insulation, switching from incandescent lighting to fluorescent lighting, turning office machines like computers off at night, using only environmentally healthy cleaning supplies, and reusing supplies like cups and dishes. Work for a better environment in the community surrounding your church. Get together with others in your church to go out into your local community and contribute to the health of your part of creation. Do volunteer projects, like clearing and maintaining hiking trails or cleaning trash from stream beds. Collect specialized items for recycling (like cell phones and printer cartridges), use and promote public transportation and carpooling, turn over a part of your church’s property to be used for a community garden, host a farmer’s market, etc. Let non-Christians who also care about the environment see that people who love God also love His creation – that will give you a platform to share the Gospel with them at the right time. Incorporate creation care into your church’s missions programs. Design missions programs that are theologically sound, scientifically informed, geographically comprehensive, and politically savvy. Learn about the environments in the places your church is serving through missions. Plan how to help the people there whose health is suffering because of environmental issues. Do what you can to help heal their environment as part of your overall service to them. Adapted from Our Father’s World: Mobilizing the Church to Care for Creation, copyright 2008 by Edward R. Brown. Published by InterVarsity Press, Downers Grove, Ill., www.ivpress.com. Edward R. Brown (M.Div., Gordon-Conwell Theological Seminary) is founding director of Care of Creation, Inc., an environmental mission agency dedicated to mobilizing the church around the world to respond to the environmental crisis. An ordained minister, he grew up in Pakistan in a missionary family. He previously served as pastor of the Protestant International Church in Islamabad, Pakistan, as InterVarsity Link administrator for InterVarsity Christian Fellowship and as Chief Operating Officer for the Au Sable Institute of Environmental Studies. Visit Care of Creation, Inc. at www.careofcreation.org.